Sometimes it isn’t enough to eat a balanced variety of real, unprocessed foods in order to be a healthy vegan. Follow these 10 steps and you are definitely on your path to optimal vegan health. There is absolutely NO reliable natural vegan source of vitamin B12. That includes the B12 which may be in algae, naturally produced B12 from bacteria in our guts, or B12 stored in our liver. Vegans must take a B12 supplement or be really careful to consume enough through fortified foods like nutritional yeast. Note: make sure you are consuming the right amount of B12. Read our guide to B12 dosage here. 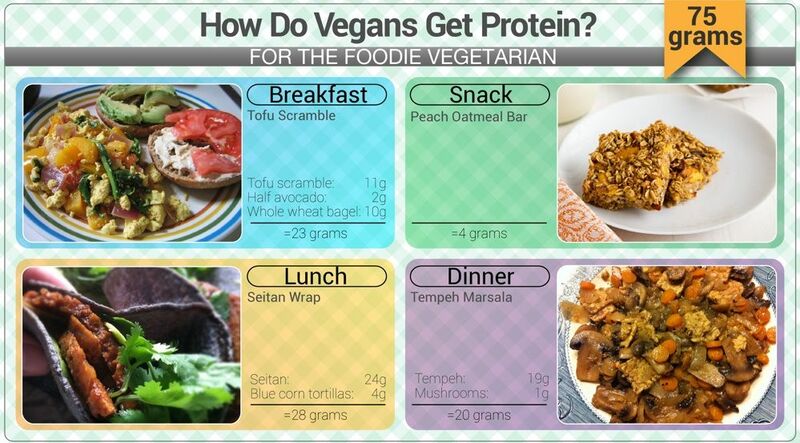 It is actually really easy to meet protein RDAs as a vegan (see it in pictures here). If you are eating protein superfoods like seitan, you might even be able to meet protein RDAs in one meal. But there are more reasons to include protein with every than just meeting RDAs. Protein is a super filling food. If you find yourself constantly hungry, then you definitely will want to start adding some more protein to your life! Protein helps regulate blood sugar levels. This will keep you from having energy highs and lows. It also helps you stave off the junk food cravings (and bad mood) which come when your blood sugar levels drop. Eating a variety of protein ensures you will get all of your essential amino acids. Including a vegan protein at each meal is pretty easy. In my case, I add walnuts to my morning oatmeal, seeds to my lunch salad, and always have a hearty protein with dinner. 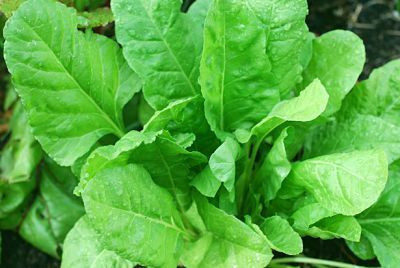 If you aren’t eating two servings of greens per day, you might find it difficult to get enough iron and calcium. Kale is an especially good source of these nutrients because it has a high bioavailability of iron. If you can’t fathom the idea of eating greens (which is lame because greens can taste great if you cook them right), then maybe consider drinking green smoothies or incorporating some green superfoods like spirulina into your life. I don’t know where people go the idea that iodized salt was bad. Iodine was first added to salt in the 1920s to combat iodine deficiency which was running rampant throughout the US. Now, iodine deficiency is pretty rare in the general public but it is one of the nutrients which vegans are at risk of being deficient in. That’s pretty ridiculous considering you can get enough iodine just by seasoning your food with iodized salt. The iodine RDA for adults is 150mcg. A ½ tsp of iodized salt contains about 200mcg of iodine. The upper limit of salt intake per day is 1tsp. Oh, and I wouldn’t rely on those natural mineral salts and sea salts as a source of iodine. Sure, they might contain trace minerals which aren’t found in refined table salt. But the truth is that most of these don’t check the mineral contents of their salt. One report analyzed sea salt and found it only had 64 mcg of iodine per kilo! Alternatively, you can supplement with algae, which is a natural vegan source of iodine. Read the facts about salt here. Lots of foods contain vitamin D, but few of these are vegan foods (the exception being some seaweed and mushrooms). The good news is that we can get enough vitamin D from about 10 to 30 minutes of sunlight. The bad news is that many of us aren’t getting this much sunlight, especially in winter. Sunlight from windows does NOT count because the body cannot make vitamin D from this. Also, sunscreen will block vitamin D production by as much as 10x. So, go outside more or consider a vegan vitamin D supplement. Yes, I know that white bread is cheaper and white rice is faster to cook. But you are robbing your health by choosing white over whole grains. Whole grains are rich sources of nutrients like iron, zinc, B vitamins, magnesium, selenium, and fiber (amongst many more). Oh, and whole grain isn’t really more expensive because you won’t need to eat as much of it. Now, there are all sorts of products clearly labeled as “Vegan”, saving you the trouble of reading the ingredients on everything you buy (hint: you wouldn’t have to do this if you weren’t buying processed foods!). But vegan does not mean healthy. Be a conscious eater and read the ingredients so you know what is going into your body. Run if you see ingredients like hydrogenated oil, high fructose corn syrup, and MSG. Fermented foods are extolled for improving your gut health. Considering that there are 100 trillion microorganisms in your intestines (10x as many cells in your body) and this bacteria is linked to aspects of your health like weight, mood, and even heart health, you definitely want to get some healthy bacteria into your body! Consuming fermented foods like real pickles and kombucha is one way to do this. Another benefit of eating fermented foods is that they are rich in vitamin K2. K2 is crucial to bone health because it carries calcium to where it needs to go. Read more about why we need vitamin K2. Forget all of that mainstream diet advice to cut out fat. When from real foods, vegan fats contain many nutrients which are very important for health (by “real” foods, I’m not talking about fatty vegan foods like Tofutti and Daiya!). 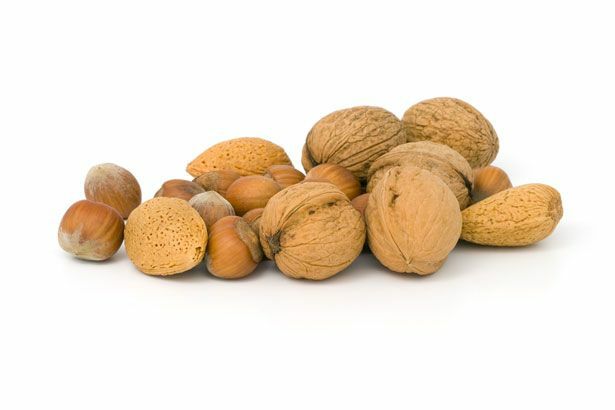 If vegans don’t take care to consume these fatty foods, they could find themselves deficient in nutrients like Omega 3 (see the top vegan sources of Omega 3 here) and Vitamin E.
What are good vegan sources of healthy fat? Avocado, nuts, seeds, olives, and flax oil are the big ones. Even some foods which you wouldn’t suspect also contain healthy fats, like raw wheat germ and dark leafy greens. The good news is that all of these healthy vegan fats often also contain other nutrients you might be lacking on a poorly-planned vegan diet, like zinc and vitamin K.
It is easy to drive yourself crazy by trying to keep up with all of the latest health “info” – like from paleo people, anti-gluten fanatics, and GMO cautions. Some of this info is good to know and might even be helpful. But, so long as you are eating a varied diet which is rich in real foods and occasionally get your blood levels tested for nutrient deficiencies, you can ignore the noise.